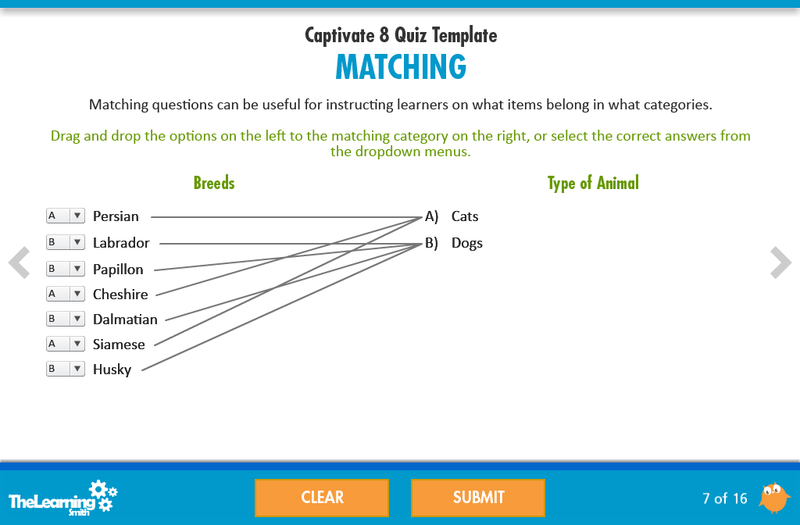 When learning to create elearning, it’s much easier to start with a finished product and transform it into your own course than it is to start from scratch. 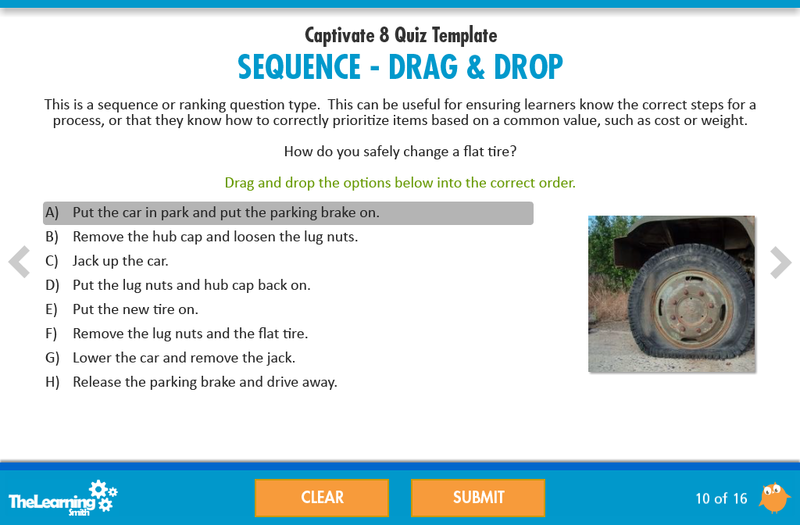 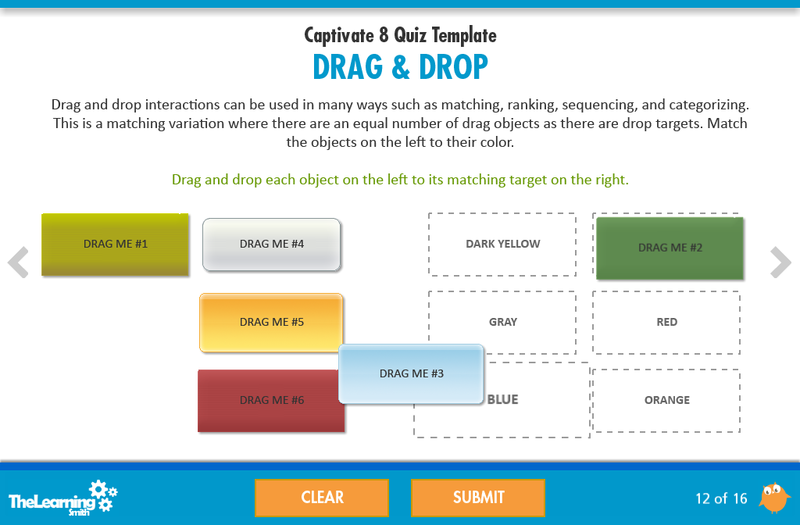 The Adobe Captivate 8 Quiz Template is a fully-functional elearning quiz that you can use to create your own online quizzes for delivery in both HTML5 and Flash formats for compatibility with tablets and PCs. 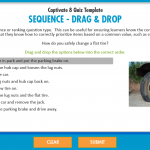 The template was built using Adobe Captivate 8, so you’ll need Captivate 8 to edit the source files. 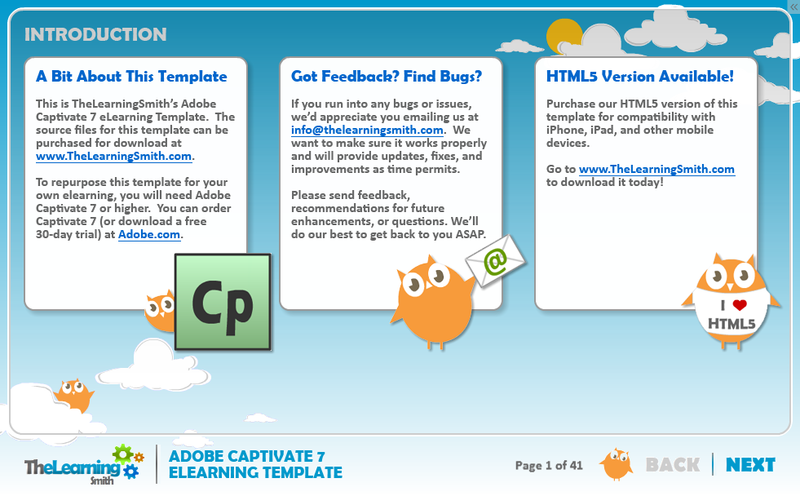 You can purchase or download a 30-day trial version of Captivate from http://www.adobe.com/products/captivate.html. 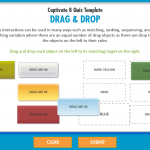 Is fully customizable so you can add, remove, or change any and all elements within Captivate 8. 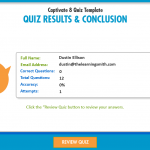 Includes a fully reusable and customizable Captivate Theme. 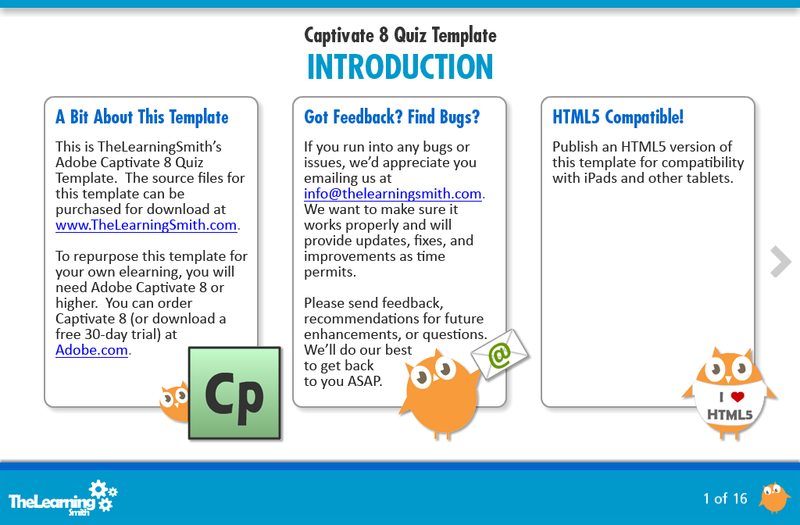 Contains instructions you can reference as you develop in Captivate 8 for repurposing each slide. 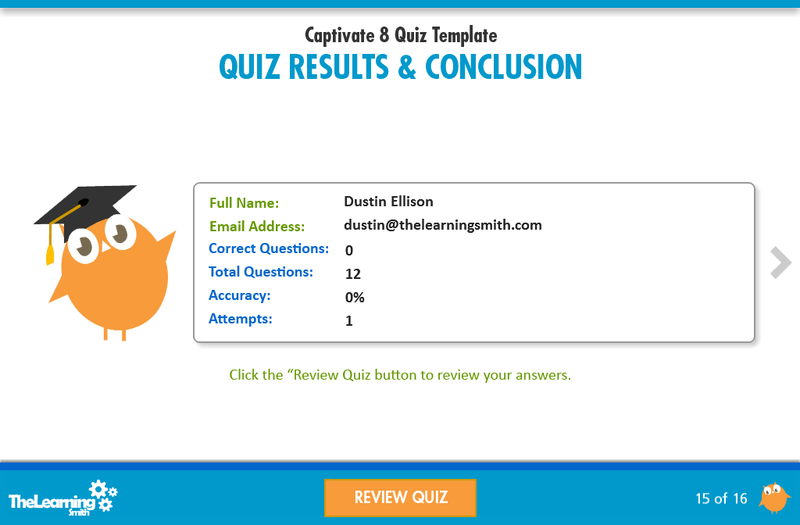 Connects to any TinCan, SCORM or AICC compliant LMS for tracking completion and scoring. 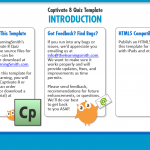 Contains source files for an HTML5 version of the template that includes only the content that is compatible for HTML5 publishing in Captivate 8. 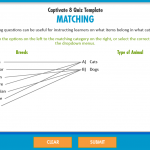 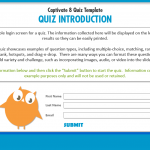 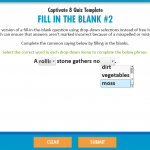 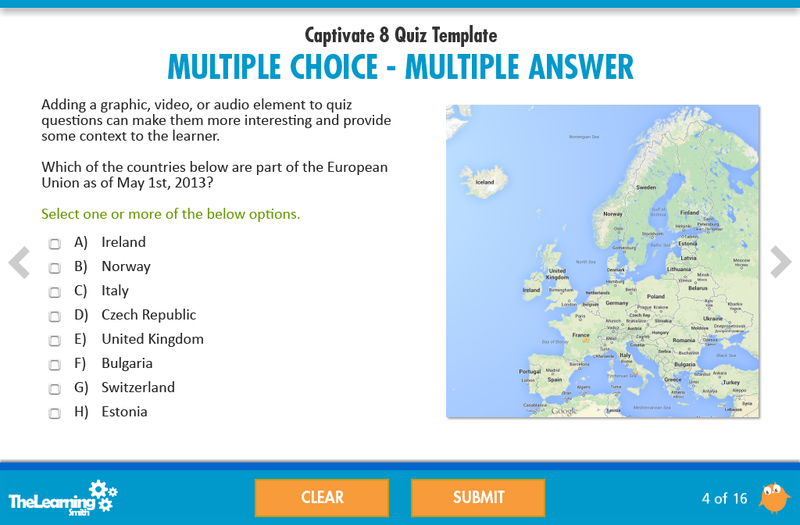 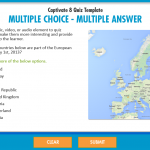 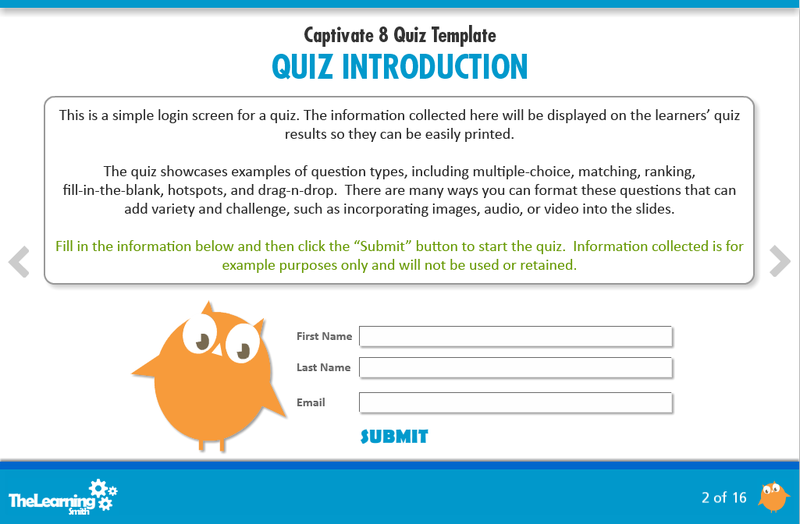 The Adobe Captivate 8 Quiz Template provides a professional framework for elearning and mobile learning quizzes. 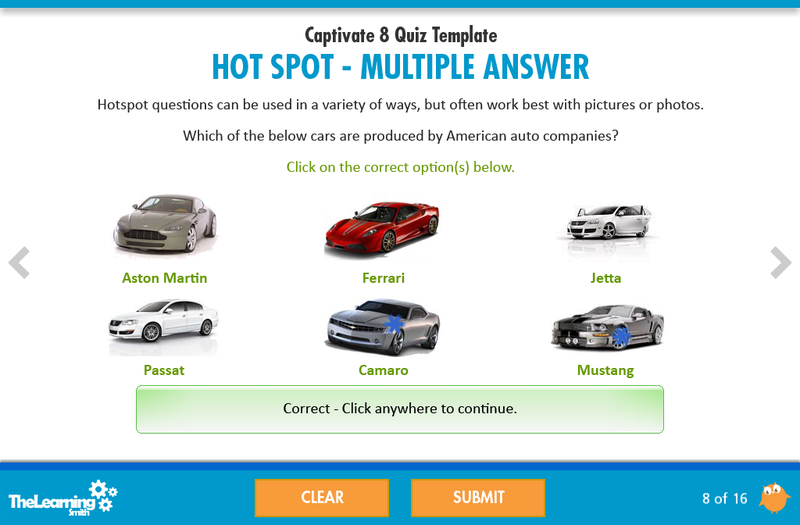 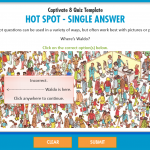 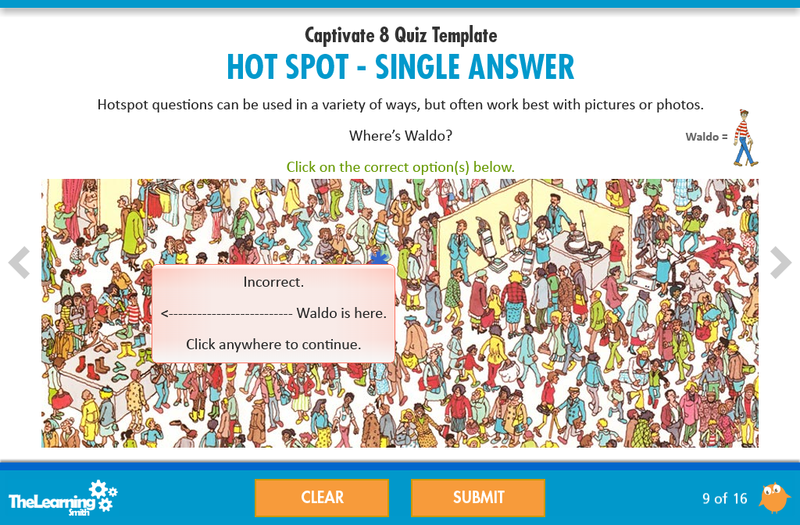 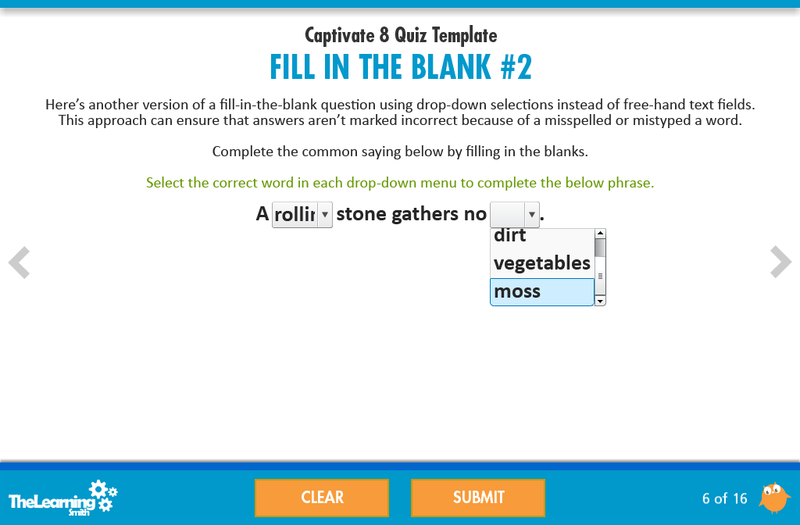 This quiz template is optimized for use on both tablets and PCs, and can be published in HTML5 and Flash formats. 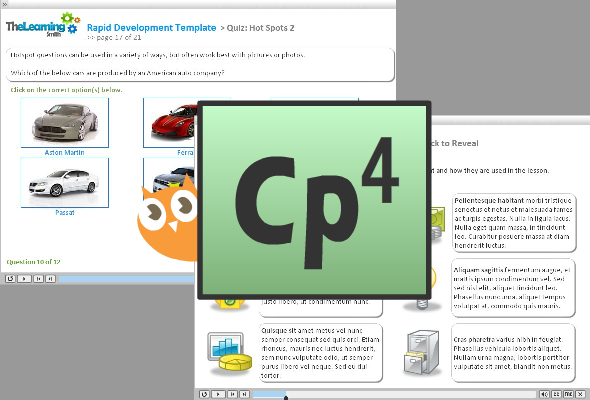 The template was built using Adobe Captivate 8, so you’ll need Captivate 8 or higher to edit the source files. 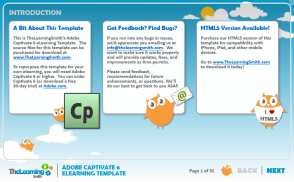 You can purchase or download a 30-day trial version of Captivate from http://www.adobe.com/products/captivate.html.